Beach within Reach is a small Thanet (Kent, UK) based charity that provides all-terrain wheelchairs to some of the beautiful beaches and surrounding countryside around Margate and Broadstairs. 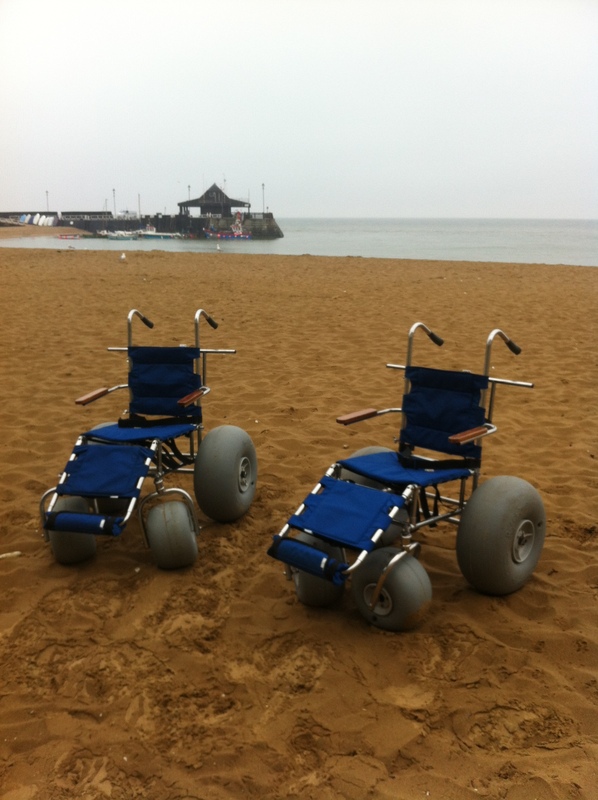 The wheelchairs will be available during summer 2016 on 7 of Thanet’s sandy beaches, but you can also call us to chat about use away from the beach. They are free to loan to anybody who has a mobility impairment, providing you can bring along some I.D to prove who you are and complete a simple form for our records. There is no charge for using the wheelchair but beach within reach are a charity run entirely by volunteers and would appreciate any donation you are willing to give. They need to raise £40,000+ in order to replace all of our existing chairs and ensure that we can provide all terrain wheelchairs to Thanet for the next 10 years. The chairs are available free of charge to individuals on a first come, first served basis. The wheelchairs are available from the Bay Inspectors at each of the above mentioned beaches. Please be aware that the lifeguards have no access to the wheelchairs at any time.